The new faces of PK announced! Last month we launched our search to find some camera-loving pupils to front our new campaign to show supply teachers, cover supervisors and teaching assistants the fabulous schools and pupils they will be working with when they register with PK Education. A huge thank you to everyone who entered. Unfortunately, we couldn’t narrow it down to three schools, so we’ve chosen four! Massive congratulations to the winning schools, who have all won £250 in Amazon vouchers. So many schools had such lovely things to say about PK that we decided to thank everyone who entered by giving them £100 in vouchers. Pupils from the four winning schools will all be featuring in our brand new ‘We Want You’ campaign which we’ll be launching next month. 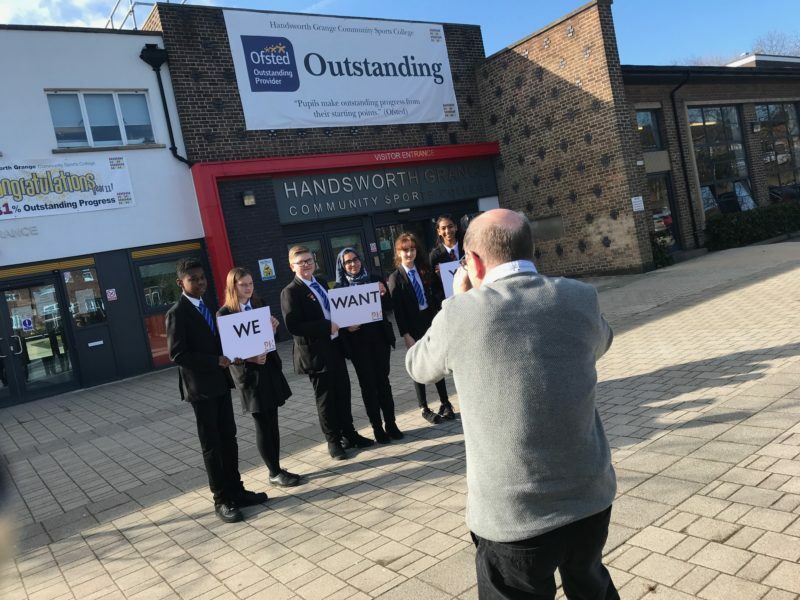 So far, we’ve had the pleasure of visiting Handsworth Grange Community Sports College in Sheffield and photographing their fantastic School Council members (pictured). Earlier this year we were also delighted to sponsor the School’s brand new library and donate an ebook subscription. You can find out what Fulneck School and Hamilton School have to say when we launch our ‘We Want You’ campaign next month.